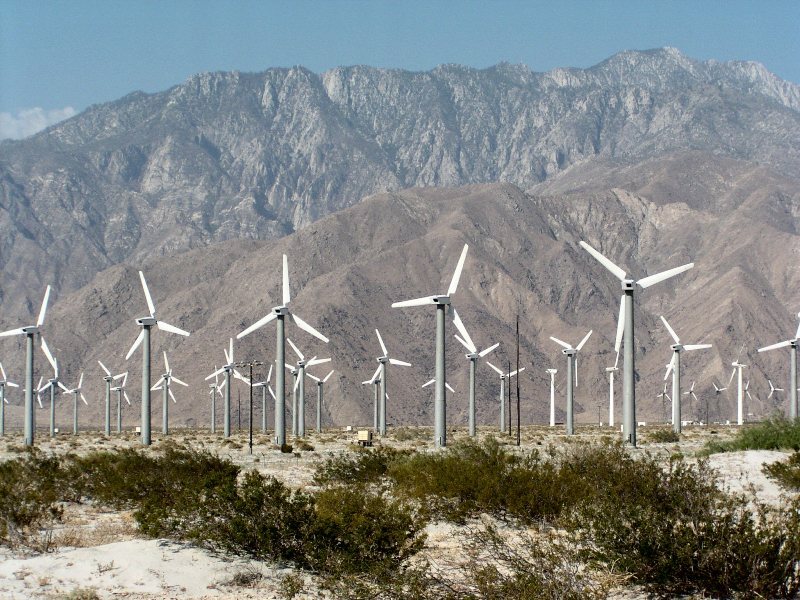 The Tour de Palm Springs is a big cycling event with multiple distances, ideal for beginners. The course is fairly flat with some rolling hills and minor climbs. 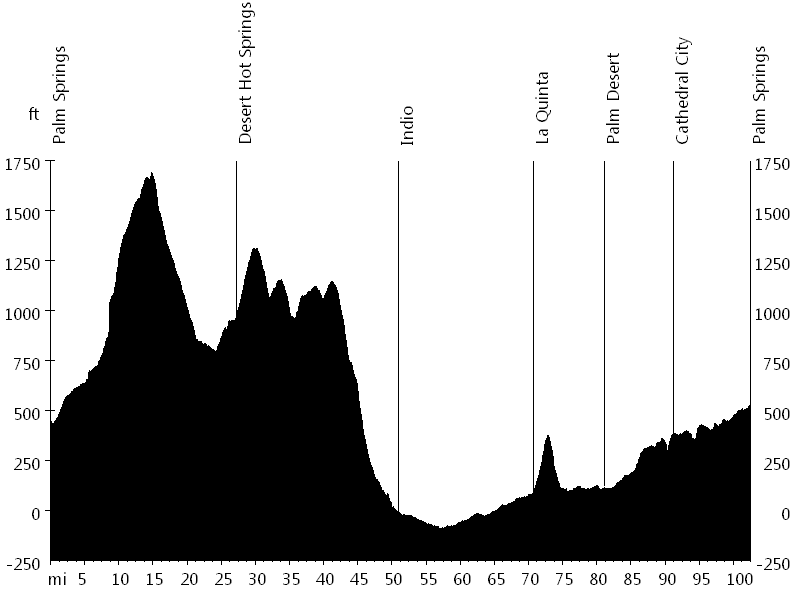 It starts in downtown Palm Springs and initially heads north towards Twentynine Palms, gradually ascending. Then it leads south-east and follows Dillon Road all the way into Indio. The second half of the ride leads north-west and visits the desert cities of La Quinta, Palm Desert, and Cathedral City on the way back to Palm Springs. A few of the Renegades rode this ride, including Bart B., Bob McI., Tom R., and myself.